Posting its results for the six months to February 28, online gaming operator Stride Gaming reported a 21 per cent increase in net gaming revenue, to £44m. In the same period, adjusted EBITDA climbed 20 per cent to £9.64m. The comparisons are made on a like-for-like basis as if the acquisitions of 8Ball, Netboost Media and Tarco Assets on August 31, 2016, had taken place at the beginning of the six-month comparative period. The company’s real-money gaming period performed well, while social gaming fell. 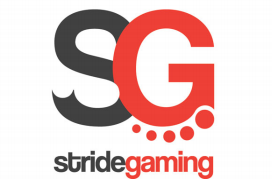 Real-money gaming NGR from Stride’s in-house proprietary platform was up 55 per cent to £23.8m and up four cent to £15.5m from third-party non-proprietary platforms. Social gaming NGR was down 24 per cent however, to £4.7m. Non-executive chairman Nigel Payne said in a statement: “Our strong overall financial results in the first half have been driven by the accelerated organic growth of our real-money gaming vertical, which accounts for 89 per cent of total group revenues, offsetting a disappointing performance in our social gaming vertical.